Southern Spirit: 3 bed / 3 bath. Sleeps 6. 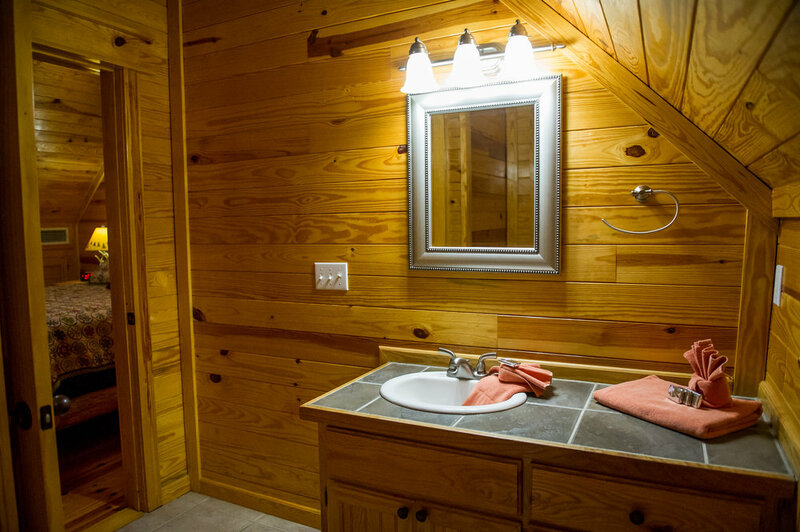 At our Southern Spirit cabin, it is easy to take Kiamichi Cabins’ motto of “Relax, Recharge, Remember!” seriously! We want you to relax in comfort, style, and convenience. This 3 bedroom, 2 story cabin offers guests the features & amenities you expect at home, but in a rustic cabin setting.Enjoy the option of preparing your meals in a fully equipped modern kitchen, grilling out on the deck, or eating at one of the fine restaurants just a few minutes away. Multiple TVs with cable means you won’t have to skip your favorite show or the big game to go on vacation. Southern Spirit is ideal for several types of groups.